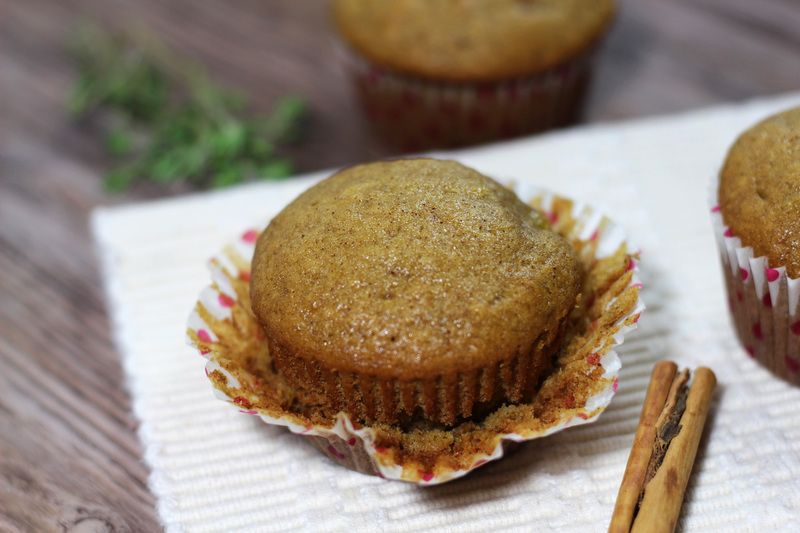 These Acorn Squash Muffins are gluten free and scream all things fall flavor! 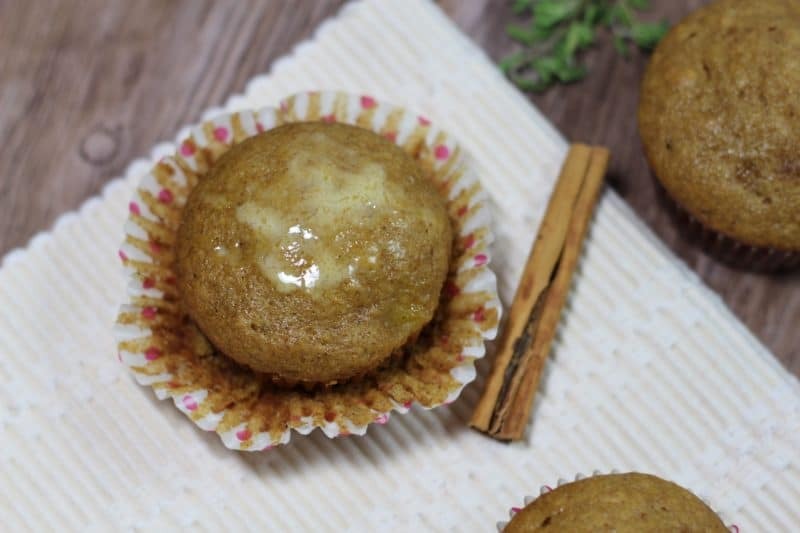 Made with acorn squash puree, these muffins have the perfect flavor of cinnamon, nutmeg and clove! The initial rush into the fall season has tapered off a bit. Every year when fall hits, we all get excited about the pumpkin and spice flavors. Don’t get me wrong…I’m not complaining at all. I love it and I appreciate all my fall flavors…I do! But now that Halloween is just around the corner and we are approaching Thanksgiving soon, I feel the need to go ahead and dive into those Thanksgiving type recipes. You know what I’m talking about…the Autumn Spiced Sweet Mashed Potatoes, Homemade Mashed Potatoes, butternut and acorn squash, beets, carrots…yum!!! 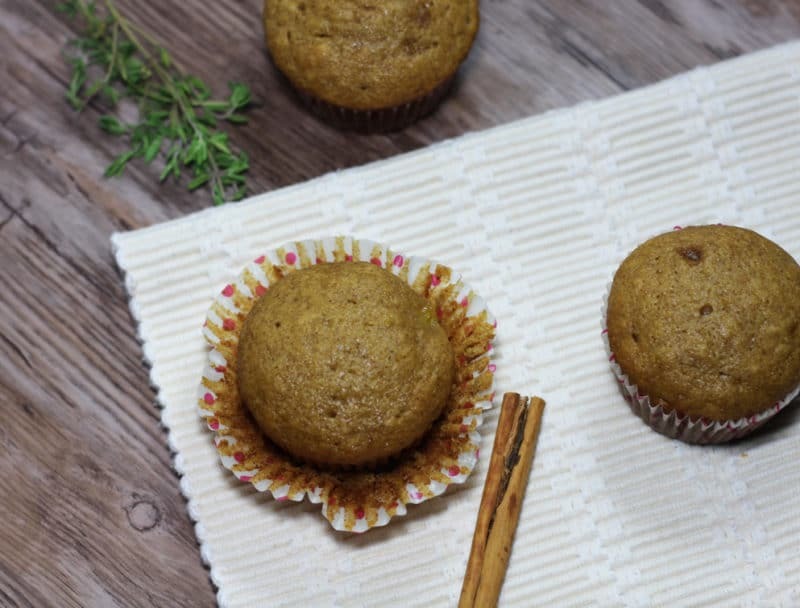 I love to make pumpkin muffins and while I was at the store the other day, I saw all the different types of squash out…butternut, acorn, delicata and spaghetti. I wondered what it would taste like if I substituted pumpkin with acorn squash in my muffin recipe. I decided to buy the acorn squash and try it out. Oh my heavens – these muffins turned out fantastic. 1000 times better than I would ever have imagined. 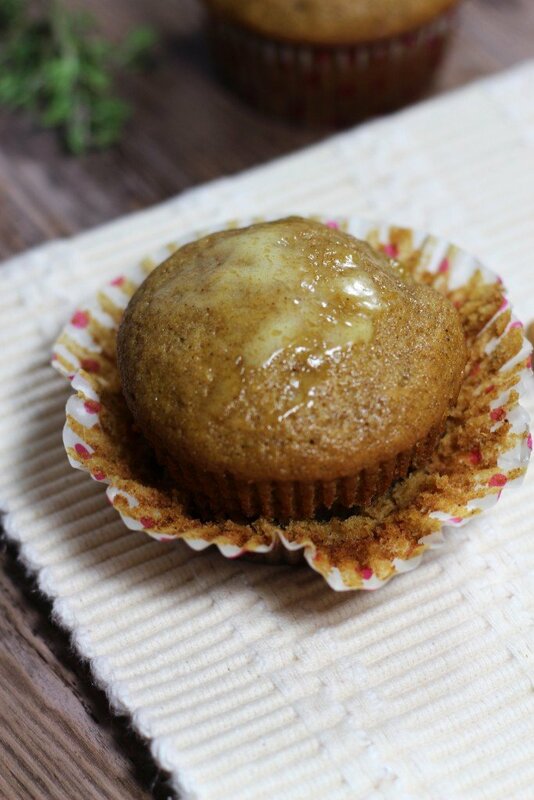 Who knew acorn squash would make a killer fall muffin, but let me tell you guys…they are fabulous. We finished the 18 muffins in 3 days. That’s actually kinda scary that we ate them all that fast, but hey…they are made from squash so we had some good nutritional value come into play! This recipe called for acorn squash puree. You are probably thinking, “How do I get acorn squash puree?” It’s actually really easy! All you do is cut your acorn squash down the middle, discard of the seeds and pulp, flavor your squash with some olive oil and salt and then just bake it in the oven on a cookie sheet! That softens to inside of the squash and you are then able to scoop it out and puree it. And guess what guys…these muffins can be made gluten free! I’ve provided a version in my recipe card below that is traditional and another that is gluten free. That way, all can enjoy! And look at these little beauties…these Acorn Squash Muffins are great for breakfast, as a snack or even as a dessert! No matter when you choose to eat them, you’re going to love every bite! Preheat oven to 350 degrees. Line 18 muffin cups with paper liners or use a flexipan muffin mold. Take your acorn squash and cut it in half vertically. Remove seeds and pulp. Lightly rub 1/2 teaspoon of extra-virgin olive oil onto the raw squash and sprinkle with 1/4 teaspoon of salt. Place squash on a greased cookie sheet, skin side up for about 45 minutes, or until the raw squash is soft and can be easily scooped out with a spoon. Once you have a cup of pureed acorn squash, in a large bowl mix together the puree, eggs, oil, buttermilk and white and brown sugars until thoroughly combined. In a separate bowl, whisk together the flour, baking soda, salt, cinnamon, nutmeg and clove. If you are going gluten free, add in your xanthan gum with the dry ingredients. Stir the dry ingredients into the wet mixture. Combine just until incorporated; do not over mix. Pour into the prepared muffin pan. Bake in preheated oven for about 19 minutes or until done. Makes 18 muffins. Oh…and these are amazing topped with a little bit of butter! 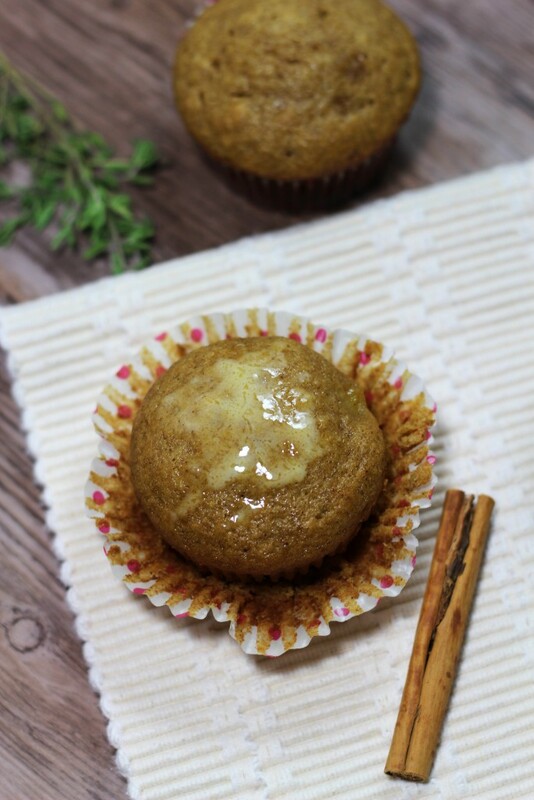 Pin this ACORN SQUASH MUFFIN to your FALL FOOD FAVORITES board on PINTEREST!! NOTE: You will find affiliate links on this page. The price you pay as a consumer does not change, but I may make a small commission based on your purchase! Thank you for supporting Recipes Worth Repeating! The acorn squash muffins look wonderful. The flavors of squashes really bring fall goodies to a new level. Using squashes in cooking also brings additional nutrition to baked goods. This is my first time to your blog. You have a really great blog. I will be back. Feel free to visit me anytime. I am all about the wonderful flavour of fall. Although I do not like the cold weather, I DO love the flavours of the comfort food season. I would eat these for breakfast. These are great for breakfast with a cup of coffee!! I eat them for snacks, too! I have never baked with acorn squash before… what a perfect time to do so! I love that these are gluten-free too. Yes- it’s really good! I love new and unique ways to cook!! I would have never imagined that you could use acorn squash in baking, but then, why not? Look at how beautiful your muffins turned out, with all the lovely flavors of Fall. Thanks! Yes – it’s so fun to bake with different types of squash! Definitely try it! Happy fall and thank you! Yeah – I think it’s fun to branch out and cook with different foods in a way you typically dont! That’s the art of cooking! Enjoy these!! Mmm, another perfect seasonly recipe. These muffins look delicious! Thank you! YEAH to fall! 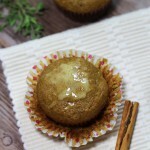 Using acorn squash in the muffin is brilliant! I will have to give this recipe a try soon. Let me know how you like them when you try them!! These look like such a wonderful combination of fall flavors! Yes! And a bit unique too!! I hope you enjoy!! Acorn is shamefully a type of squash that I haven’t yet played with, but this recipe is tempting me to take a trip the store right now! They look divine! Thank you! Yes – these are fun for sure! You’ll love them! I love squash and making muffins with them sounds yummy. I love the combination of spices you added. I could eat one right now slathered with butter. Yes – I love butter on my muffins!! These are great! You will love these!